» Wedding day tips "Jeffrey C Wilkins – Wedding Photographer"
Are you wearing Latte for your wedding? 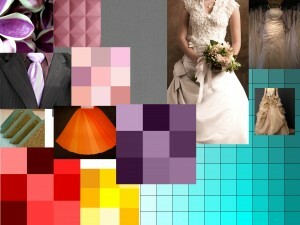 2013 wedding season colour tends. The votes for the top ten wedding colours for 2013 are in . . . leading experts say: One of the hottest trends is for Latte coloured wedding dresses. Grooms will look sharp in classic grey mixed with shades of red, lilac, nectarine and more. Gold mixed with light shades, delicate pastels of blush or pink can be used as accents. Teal, yellow and dusty rose are also popular and finish off the list. What colours are you choosing? February 26, 2013 | Categories: Calgary Photographer, calgary wedding, calgary wedding photography, professional wedding photography, wedding advice, wedding advice blog, Wedding day advice, Wedding day tips, wedding photography advice, wedding theme, Weddings 2013 | Comments Off on Are you wearing Latte for your wedding? 2013 wedding season colour tends. Wedding day jitters . . . just relax! The big day is here and . . . what can you do to help with the wedding day jitters? Each of you will experience this in different ways. Brides may find this to be the most stressful day so far. Grooms may spend the day worrying over the details. So what can you do? Brides: Get a good sleep the night before. You need to make time for you in your planning. On your day you need to plan for time. Have a nice soothing bath maybe even a bubble bath in the morning. Leave time to just relax and slowly wake up. Maybe have a massage (just not a deep tissue). Spend some time on your own . . . breath. Have your bridesmaids meet you for a coffee before hair and makeup. If you can get your hair and makeup done in one room with your bridesmaids, that way you can visit and laugh while having it done. Invite a few close friends to come spend some time with you before the ceremony. Pre wedding pampering is the focus for you, your bridesmaids and a few close friends or family. Laugh, cry then laugh some more! Choose something comfortable but pretty to have your hair and makeup done in. You not only want to feel good but you’re likely to have some photos taken while you’re having this done. Choose a bff that isn’t in the bridal party to be your gofer, let them take care of problems that may arise, if the flowers don’t show up etc. Provide them with a master list so they can call whoever they need. Make sure to include them in the pampering and give them a gift that shows your appreciation. Arrive at the venue with time to spare and find a comfortable place to relax with your bridesmaids for a few minutes. Time to laugh again! Now take some quiet time with your bridesmaids relax and breath, you could hold hands and feed on your strength together . . . breath. Grooms: You too need your beauty sleep! Dark circles under your eyes will not cut it, nor will drifting off at the altar. Make sure all your plans are arranged well in advance, travel plans, honeymoon plans etc. Have a good friend or brother that can be your gofer (someone outside of the wedding party) same rule applies here provide them with a gift that expresses your appreciation. Do something . . . men usually find activity to be relaxing, go for a jog shoot some hoops etc, invite your groomsmen also. Don’t go overboard here, a round of golf may be what you would like but it is likely to add to your fiancée’s stress! Maybe settle for a bucket of balls. Go ahead and throw the football around but don’t play full tackle! Have fun just chill with some buds. If you are having some photos done while getting dressed make sure you’re wearing something that you feel good in not just an old pair of sweats! Jeans and a T-shirt works great and is really masculine. Have some friends and the groomsmen with you and have fun. Remember this is your day too enjoy it. Arrive with time to spare, this gives you some time to spend horsing around with your buds. Not only will this relax you but it makes for some great photographs. Do something manly, have a shot of whiskey or smoke a cigar, but don’t get out of hand. Laugh, breath, laugh some more . . . relax. If you have planned well and you take time to give yourself some pampering and some laughs your day will run much more smoothly if it starts out relaxed. A beautiful bride relaxes before the big day. Got any other tips? We would love to hear them. Outdoor wedding pitfalls to be avoided. So you’re getting married, are you ready? Do you know the pitfalls that you could be headed for? Some would have you believe that there are horror stories awaiting you at every turn. Although this could become a reality a little common sense and some planning will help you avoid or overcome any challenge that comes your way. I have compiled a list of some possible pitfalls that you may encounter when planning an outdoor wedding and simple planning that will help you to shrug them off. Winter spring summer or fall: Every season has a myriad of possible weather challenges that can creep up on you. What if the weather takes a turn for the worst? Rain, snow, and worse can happen. Have a backup plan! Have an indoor or covered venue picked out or ready to go just in case. Also consider the temperature, if it drops suddenly (here in Calgary this is quite possible) be prepared with either layers or heaters. You don’t need to “have” all this but at least consider it and know what it will take to source it in a hurry! A good rental company can be your best friend. For an outdoor wedding, find a rental company with a rain policy; this agreement will get you a tent at the last minute. Mud: Have a plan for dealing with mud not rain but mud. Even the warmest blue sky day can be ruined by mud. Heavy rain or a late spring (this never happens in Calgary) can leave you wallowing in mud. Plastic bags are your friends just slip them over your shoes. Or just go with boots and have fun with it. If your venue has multiple spots choose if you can one that is higher ground or be prepared to move to the higher ground if necessary. Wind: even the nicest weather can get a bit breezy, are your decorations going to survive a sudden gust? Don’t opt for skipping the guy lines on your event tent because the sky is blue! Be practical if the worst happens you’re prepared. Fully set up and secure the event tent, if the weather is perfect it is a lot easier to open up the walls than try to put them up in a panic! Know the temperature: What . . . didn’t I just tell you to plan for the unexpected? Yes but you must pay attention, or seek knowledge about the “normal” temperature. Specifically you need to plan for the time of day you want to be outside. A sunset ceremony in May might be a bit cold for a light taffeta strapless number! Consider your guests too, by making them aware of the typical weather to expect. Have some water available for guests in case the heat spikes. You can even post weather updates on your wedding site. Know the light: Which way does the sun shine at that time of day/year? Plan to have your guests with their backs to the sun not the sun in their eyes. Keep in mind that you will don’t want the sun directly in your eyes either, most of the time you will be facing each other. This changes slightly from season to season and time of day so do some research. As a photographer I am always aware of the light and will take care of that aspect for your photographs. Food: There are a couple of pitfalls to avoid here but most of the guess work can be solved by asking your caterer the right questions: Do they have experience providing food for outdoor weddings? Can they recommend what would taste good in the typical weather? Some hot foods will taste better in the fall and vice versa cool foods for the summer. Bugs: Every season has its nuisances often the winged variety can be lured into traps or other areas with citronella candles etc. Have some good bug repellent that really works on hand and use it! Make sure to consider the guests also a few cans between tables and you’re covered for less than the cost of one plate of food. Allergies: Spring flowers and autumn foliage can wreak havoc on allergies, yours and your guests. Red, puffy, watery eyes just won’t cut it in your wedding photos. Watch the pollen levels for the area and be weary of the natural surroundings. In your emergency kit (I have talked about this one before) keep some allergy medicine and eye drops even if you don’t usually need them. Conclusion: Make several trips to your venue at different times of day to see what how things change, consider all the aspects, all the possibilities and you will be covered. Remember to consider you and your guests in your decisions. A little common sense will go a long way to ensuring your day goes well. It’s your day plan for the worst and you’ll have the best day of your life. Have you encountered any wedding pitfalls that you can share we would love to hear from you. March 20, 2011 | Categories: Calgary Photographer, calgary wedding, calgary wedding photography, professional wedding photography, wedding advice, wedding advice blog, Wedding day advice, Wedding day tips, Wedding jitters, wedding photography advice, wedding photography info, Wedding photography tips, Weddings 2013 | Comments Off on Outdoor wedding pitfalls to be avoided.